The process for cleaning leather will depend on the variant. Finished leather types include garments, bags and furniture. Unfinished leather consists of things like baseball gloves, saddles and boots. Finished and unfinished leather require different techniques for cleaning. Note: Leather protection sprays and cleaning kits can be purchased in stores. Read the instructions before using any of them. The following simple steps need to be implemented to clean finished leather. Get the damp cloth and put some mild soap on it. Work up a light lather. Wipe the leather with the cloth. Get another piece of damp cloth and gently mop up the lather. Use only a damp cloth and do not try to wash the leather with water. Finally, get a clean towel and dry the leather. Allow the leather to dry completely and then, apply a suitable leather conditioner. The following simple steps are involved in the process of cleaning unfinished leather. Get a large sponge. Put some saddle soap on it. Work up a light lather and then, use it to clean the unfinished leather. Once the dirt has been completely removed, use another cloth to wipe the lather. Let the leather air dry. 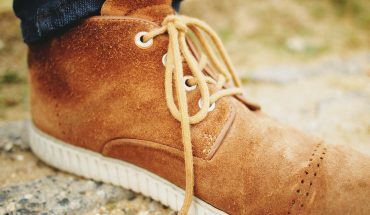 Finally, use a preservative like mink oil to give your leather that healthy, natural shine. In order to get rid of some common stains, the following suggestions may come in handy. To get rid of mildew stains, take 250 ml of rubbing alcohol along with 250 ml of water. Combine the two together. Take a small piece of cloth and dip it in this mixture. Rub the stain with the cloth and let it air dry. 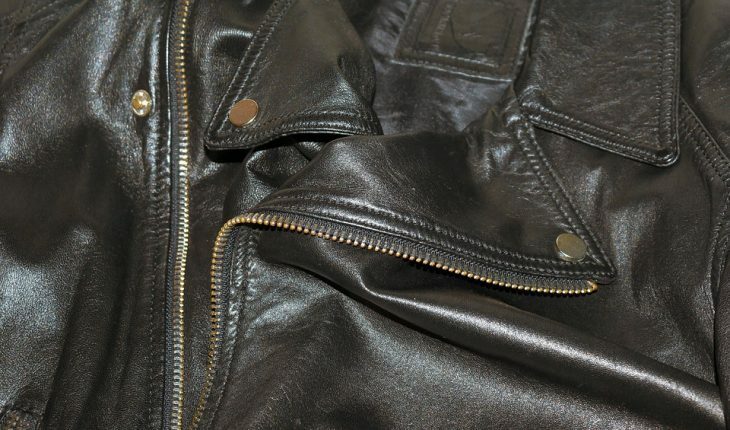 In order to remove ink stains from leather, you can use hairspray and a piece of cloth. Just spray the affected area with the hairspray and rub it with the piece of cloth. Repeat the process if necessary. The more ink there is, the harder it will be to remove. For water stains, let it dry by itself. Do not try to wipe away the liquid. Also, do not expose the leather to the sun. The best way for cleaning leather is using a conditioner. Apply the leather conditioner after it has dried. If the shoe is soaked, just allow it to dry. In order to remove apple juice stains, use a damp sponge and a piece of bread. Alternatively rub these two items and try to remove the stain from the leather. You can also keep the following tips and warnings in mind while cleaning leather. If there are grease stains, put a cloth over it to prevent the stain from spreading. Add some talcum powder. You can use cornstarch also. The leather needs four hours of drying time. Rub off the excess powder. For blood and pee stains, cover it with a wet cloth. Let it dry but do not expose it to heat. For cleaning stains caused by gum, wipe it with bag of ice cubes. Turn on the hairdryer. The heat should harden it and make it easy to remove the stain. Use leather spray to get rid of discoloration. These sprays can be purchased at many shoe stores. Pick the hue that matches your leather. This technique is best suited for bags and other leather accessories. As you can see, cleaning leather requires very specific methods. By using the right techniques, you will be able to restore the original look of your fine leather.